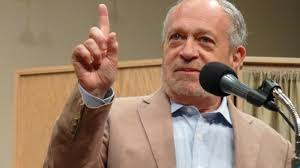 Former United States Secretary of Labor Robert Reich, pictured above, has written an article that was published in the Sunday, August 14th edition of the San Francisco Chronicle, which is where I read it. Because the Chronicle has one of those "paywall" things in place, to make it impossible for the public to read its news without personally subscribing to the newspaper, I'm linking right here to another online source. It's an article worth reading. 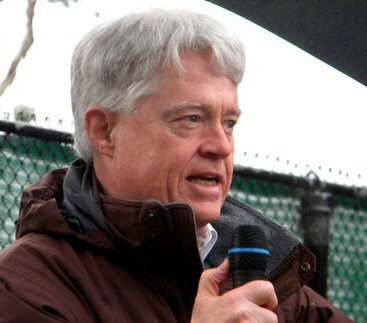 Reich's article is titled, "Candidates solicit biggest threat to U.S. sovereignty" in the print edition, and "Foreign Cash Is Hijacking American Democracy," in the online version. In his article, Reich takes on Republican Presidential candidate Donald Trump. Trump is always talking about threats to the sovreignty of the United States, but Reich isn't convinced that Trump knows there the problem really lies. As a for instance, Trump sees "rapists," pouring across our borders, as a major worry. In fact, counters Reich, the real danger to our democracy and sovereignty comes from the injection of foreign money into our political process. Trump is out there hustling contributions from foreign nationals, thus explicitly putting our local democracy on the international auction block. Not cool, says Reich. I completely agree with Reich. As I say, his article is worth reading. However, I want to suggest that Reich is, in a way, minimizing the problem he identifies. The threat to our democracy isn't mainly from non-U.S. sources of money, influencing our domestic politics. It's from ALL sources of corporate money, since modern corporations have no allegiance to, or enduring connection to, the United States. Apple has billions stashed offshore. So do lots of other corporations. Corporations routinely move their factories to other countries, too, demonstrating that U.S. corporations aren't tied to, or dedicated to, the United States in any significant way. Corporations control our politics with their capital. We all know that. That fact (and not the "foreign" source of some of the money that is washing our democracy away), is the real problem.